We have been providing the highest quality custom steel fabrication in the greater Houston area since 1986. We fabricate in shop and on site as well, which includes mobile and portable welding. Our capabilities include welding, cutting, grinding, plasma cutting, rolling, breaking, and shearing - whatever our customers need. We can meet any of your metal custom fabrication needs including skid packages, hand rails, frames, racks, and stairs. 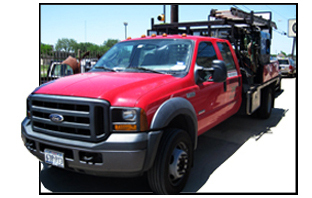 We can also meet all your of repair work needs such as trailer repair, fence repair, gate repair, and welding repair on vehicles. We can cut stainless steel, steel, aluminum, bronze and copper, from 18 gauge thickness up to 2 inch thickness. We specialize in custom cutting signs, logos, and special one-off parts as well as basic shapes like squares, circles and rectangles. We are very responsive to our customers needs and can provided a very quick turn around time, often in the same day if necessary. We are professional, competitive, and competent in our service.